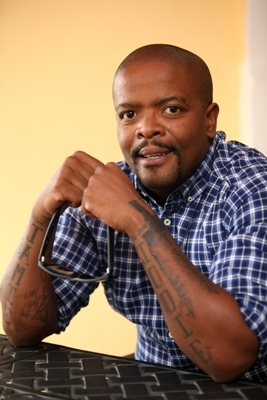 LESS than a year ago comedian Trevor Gumbi (32) thought he might end up in jail or, worse, dead. But it’s been 10 months since he decided to fight back against his cocaine addiction, and it shows. “I’m feeling positive about everything. I have my best friend here, my wife,” he tells us, pointing to Lucille (30), who’s come to support him for the interview.